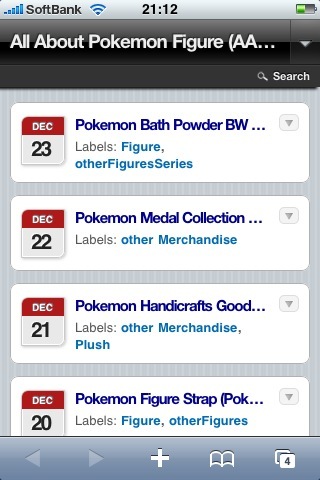 Thank you for visiting All About Pokemon Figure (AAPF) always. This post is for mobile access users. 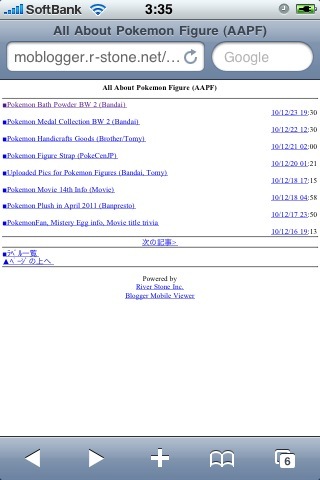 AAPF runs on blogger.com, they launched mobile optimize service recently. One of advantage for users in it, a photo in the post can be glanced. Now it is service in AAPF. Please refer to the following screen photos (in case of iphone). If it would be comfortable for your terminal, please add or change your bookmark as you like.